How Safe is our Food? Are we Eating Toxic Vegetables? How safe is our food? Food is something we cannot ignore, as without it, we will not survive. But food safety has become more and more of a concerning issue to those of us who care about what we eat. "You are what you eat" now takes on new meanings if what we eat is laced with toxic chemicals, preservatives and traces of chemical pesticides and insecticides. For those of you who are unaware of the many toxic chemicals that go into just growing strawberries by our conventional farmers, see our page entitled: 4 Reasons for Growing Organic Strawberries and Toxic Sprays . Just how safe is our food? Read this sobering article by Jeff Behar on what we ingest on a daily basis when we consume non-organic fruits and vegetables. Once you do you will have the answer to the question, just how safe is our food? "As many Americans continue to increase their consumption of fruits and vegetables in their diet in an effort to increase their health, well being, lifespan and decrease their risk to diabetes, heart disease and other chronic conditions they may in fact be increasing their risk to several types of cancer. How Safe is our food? Is the Public at Risk? There has been much publicity about the importance of increasing the amount of fruit and vegetables in the diet. A day does not go by where there is not a new article or press release about a study of the positive effects of increasing the amount of fruit and vegetables in the diet. Many health organizations, such as the American Cancer Society, American Heart Association and the American Diabetes association all recommend eating lots of vegetables and fruits. However, as this healthy push towards increasing consumption of fruits and vegetables and decreasing consumption of refined and processed foods there is a growing concern about regarding low level pesticide exposure from chemical residues left on produce. Protect crops from insect pests, weeds and fungal diseases while they are growing. To protect Crops and increase yields. Much of the world food production is lost to attack from pest and diseases, in the field, at harvest and in storage. Crop protection decreases spoilage, which lowers price and increases availability. Crop protection products have also enabled food production to keep pace with the world population. Prevent rats, mice, flies and other insects from contaminating foods while they are being transported and stored. 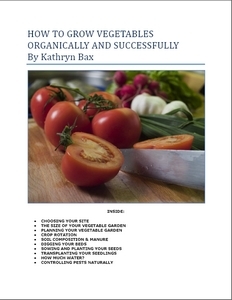 Safeguard human health, by stopping food crops being contaminated by fungi. Meet consumers expectations. Consumers expect attractive, high quality, nutritious, safe, reasonably priced food, pest free, toxin free with minimum waste and microbial contamination. If a significant amount of produce was to be lost to pest damage, the price per unit of marketable produce would rise substantially. Pesticide Use a Growing Health Concern: So How Safe is our Food? While pesticides have important uses, studies show that some pesticides cause health problems at certain levels of exposure. Improper pesticide use has been found to cause various forms of cancer, birth defects, miscarriages, sterility, and deaths. The EPA ranks pesticide residues as one of the leading health problems in the US. A significant amount of produce in US groceries is imported. Of this produce a significant portion comes from countries using large amounts of pesticides and herbicides during the farming practices. A study conducted by the National Academy of Scientists estimates that in the next 70 years, one million additional cases of cancer in the US will be caused by pest residues. How Pesticide Use Threatens Consumers - So How Safe is our Food? 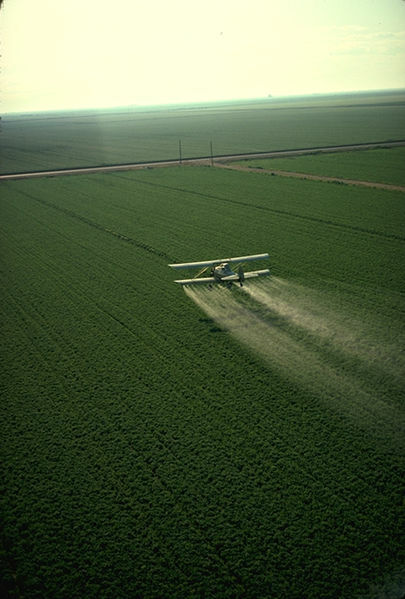 Pesticide toxicity threatens US consumers in the "circle of poison" effect in which unregistered or banned pesticides are exported to other countries such as Mexico and sprayed on crops whose produce is then exported back to the US. Mexico has increased its reliance on pesticide imports and is currently the second largest pesticide importer in Latin America. New Zealand pesticide use has also continued to increase with New Zealand continuing to rely heavily on pesticide use in its farming practices (source: Trends in Pesticide Use in New Zealand: 2004). Additionally many European countries also export banned pesticides to many nations that export produce to the US and find their way to US grocery stores and subsequently into US homes for consumption. Homegrown fruits and vegetables may not be much better. A report card for pesticide regulation issued by Consumers Union in 2001 gave the U.S. Environmental Protection Agency a grade of D for reducing dietary risks associated with pesticide residues on foods grown in the U.S., citing "slow progress, and much of the task incomplete." Testing Deemed Spotty at Best. Currently, US Food and Drug Administration (FDA) responsible for protecting the public health by assuring the safety, efficacy, and security of our nations food supply; including food imported to the United States. FDA tests on imported foods reveal that contamination by illegal pesticides account for only five percent of imports (other independent testing suggest contamination rates slightly higher); however, contamination rates are higher for imported carrots, pineapples, rice, peas and pears (Allen, May 28, 1991). Of important note however, is the FDA is understaffed and only tests one or two percent of imports while the rest wind up in US grocery stores!!! Here are some strategies you can employ to reduce you and your potential exposure to toxic pesticide contamination from food sources. Buy organic. A recent study at the University of Washington found that children who ate mostly organically grown fruits and vegetables had only one-sixth the amount of pesticide by-products in their urine as compared to children who ate conventionally grown foods. If cost is an issue, as a minimum, consider buying organic varieties of just the foods that have been shown to be more likely to have high levels of chemical residues, such as peaches, apples, pears, winter squash, green beans, grapes, strawberries, raspberries, spinach, and potatoes. Avoid imported produce from areas known to have high levels of chemical residue. As a minimum, consider especially avoiding tomatoes, strawberries, and spinach from Mexico, peaches, pears, and grapes from Chile, fruits and vegetables especially apples from New Zealand. Always wash (and peel, where possible) fruits and vegetables. Soaking is fine to loosen dirt and debris, but studies have shown that running water is the most effective means of physically removing pesticide residues as well as dirt and bacteria. Note: washing with commercial produce washes were shown in one study to be only slightly more effective than plain running water in removing residues and may not be worth the extra money. Peel produce that is likely to have high levels of pesticide residue . The pesticide DDT , banned in the U.S. in 1973, has been found in the skins of root vegetables grown more than 20 years later. Eat a variety of fruits and vegetables. If your produce isn't organically grown, eating a mix of foods from a variety of sources can minimize your risk of ingesting too much of any one pesticide. Throw out the outer leaves of leafy vegetables. The outer leafs are the parts of the crop that will get the highest concentration of the pesticide spray. Despite the potential health risks of pesticide residues, current science indicates the health advantages of eating plenty of fruits and vegetables are greater." So, that question, yet again! How safe is our food? If it is not grown organically, not very safe at all! See the full list of 47 foods that contain pesticides ranging from the worst affected to the least. Jeff Behar is a senior writer for www.musclemagfitness.com and www.Mybesthealthportal.com where he regularly writes about hot topics in the areas of health, fitness, disease prevention, nutrition, bodybuilding, men's health, weight loss, vitamins and supplements, and anti-aging. Add your Own Comments to our Article on How Safe is our Food? Do you have experiences of your own to send in? How safe is our food? What do your think? Just type it in and send it in. Or perhaps you would like to add to the information above.